Do You Really Need a Drop Cloth? Anyone who has ever done any painting, and most of us have, will be able to relate to the following situation. You are all ready to paint and have all of your supplies ready to go: paint, paint pan, roller covers, brushes, ladder, etc. And then you remember it: the drop cloth. Do you really need it? You are not alone in your oversight of the drop cloth; often times it is either forgotten or even ignored during paint preparations. The paint specialists at Gateway FS Construction Services recommend always using a drop cloth. Like most painters, you are probably aggravated by the tedious work of laying out the drop cloth and constantly readjusting it as your painting progresses around the room. Most painters think that if they work slow and steady enough, they will be able to paint carefully enough and not make a mess. However, even the experienced paint professionals at Gateway FS Construction Services make mistakes when painting and dripping is usually high on the list. 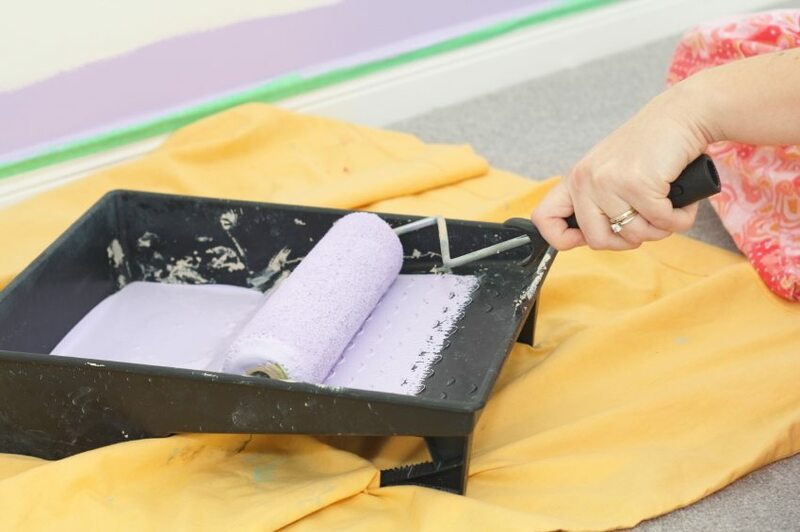 The tiniest of paint drops can be flung from your paint roller across the room and be undetected until it is difficult to remove. Fortunately, drop cloths are easy to find at any hardware store and come in a variety of materials and sizes. Materials include paper, plastic and canvas. Sizes are typically 4’ x 15’ for hallways and 9’ x 12’ for larger areas such as rooms. The type of paint you are using will determine the type of material you need for your drop cloth and the size of your project will determine the size of your drop cloth. Professional painters usually use canvas cloths because they are reusable and can easily absorb a variety of paint products. The painting team at Gateway FS Construction Services typically recommends plastic drop cloths for most home projects using latex paint. They do a good job of protecting your floor and furniture and are completely disposable when you are done. Whatever your painting project, the professional paint team at Gateway FS Construction Services can help. Give us a call at 866-551-3454 and let us help. We look forward to providing you the best painting experience. We at Gateway FS Construction Services are proud to offer you, our customers, the very best in agricultural handling and storage equipment such as augers, bins and seed tenders. Our partner, Meridian Manufacturing, has been providing the highest quality and most innovative agricultural storage and handling products for more than 65 years, including a wide array of seed tenders. Gateway FS Construction Services, along with Meridian Manufacturing, are pleased to announce the Meridian Seed Tender Rewards Program for purchase made between February 1 – April 30, 2016. The program offers a cash back option for purchase or a voucher for a future purchase. 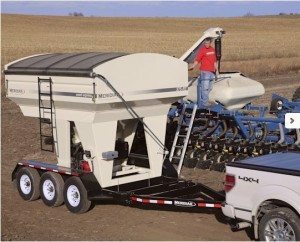 *Seed tenders must be purchased on a Meridian trailer. **Voucher may be used towards a qualifying purchase of another Meridian product. The sales consultants at Gateway FS Construction Services are ready to help you determine which one of the seed tender models above is best for you and provide details on how to participate in the Meridian Seed Tender Rewards Program. Rebates requests must be submitted by May 31, 2016 and vouchers must be redeemed by June 30, 2016. You can count on the professional team at Gateway Construction Services and our partner Meridian Manufacturing to deliver agricultural operations solutions that exceed your expectations, whatever your agricultural equipment needs. Give us a call at 866-551-3454 and let us help. We look forward to providing you the best customer service experience. For over 20 years, Gateway FS Construction Services has been providing our customers with the best solutions for their painting needs. Whether you need a simple painting update or would like to make a major transformation with paint, the full-service painting department at Gateway FS Construction Services can help. Managed by Brian Garleb, the Gateway FS Construction Services Paint Services team works side by side with you on all types of painting projects, interior or exterior, home or business, large or small. In order to ensure they are bringing you the best possible painting experience and product, the Paint Services department at Gateway FS Construction Services offers you, our customers, the highest possible quality paint products along with the most optimal combination of product lines. Our paint distributor partner, Valspar, is one of the most recognized paint brands in the world, offering more than 1,000 paint colors and variations from which to choose. Coupled with our state-of-the-art color matching tools by X-Rite, the Gateway FS Construction Services paint team is sure to produce the exact color for which you are looking. With more than 20 years of experience, no one understand the transformative value of finding the perfect color than the dedicated paint professionals at Gateway FS Construction Services. The X-Rite color matching system provides an infinite color source, allowing you to actually make the exact paint color you want and not be tied to choices in a paint store. Using a tethered spectrophotometer, your Gateway FS Construction Service paint specialists can scan any color from any source and generate the exact same color. Once your ideal color has been developed, the X-Rite color harmony tool provides a guide to creatively choosing any accent colors that you may want. Finally, with the X-Rite home visualizer tool, you can see exactly what your new paint job will look like before our Gateway FS Construction Services paint specialist even begin to paint! Whatever your painting needs, you can count on the professional paint team at Gateway FS Construction Services to deliver a solution that best suits your needs and exceeds your expectations. Give us a call at 866-551-3454 and let us help. We look forward to providing you the best painting experience.